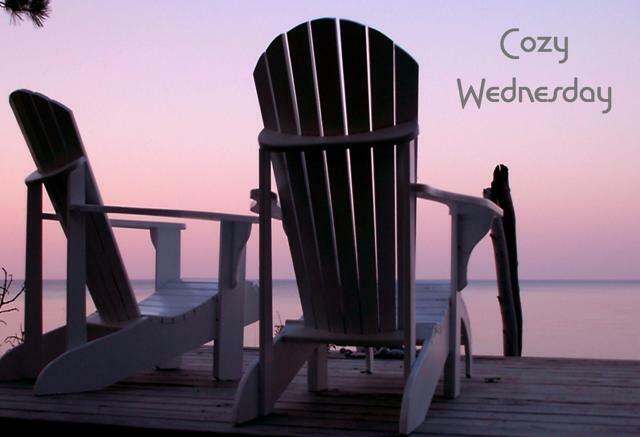 Cozy Wednesday with Kathleen Ernst – Author of Death on the Prairie – Giveaway too! It my pleasure to welcome Kathleen Ernst back to Escape With Dollycas today! 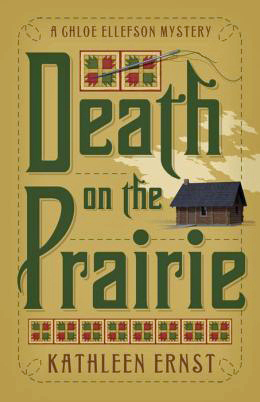 The new Chloe Ellefson Mystery, Death on the Prairie , comes out tomorrow! When I began conceptualizing the Chloe Ellefson Historic Sites mystery series, I knew I wanted my protagonist to be a collections curator at Old World Wisconsin. OWW is a large living history museum where I once worked, so I had that setting locked in my mind. I also thought it would be fun to get Chloe out and about at times as the series progressed. I loved the early Anna Pigeon books from Nevada Barr, and eagerly anticipated each as a chance to vicariously experience a new national park. I wanted my series to introduce special historic sites and museums to readers. The new Chloe mystery, Death on the Prairie , is the sixth. As the series has grown I’ve been delighted to receive readers’ suggestions for future settings. Equally delightful are invitations from staff at various historic sites and museums. But choosing a setting for each new book is a complicated thing—especially since it’s not the first element I consider. The most important factor is where my main characters are, emotionally speaking, at the end of the last book. Chloe usually takes center stage, but police officer Roelke McKenna is also a recurring character. In each book Chloe and Roelke discover things about themselves, and about each other. They grow emotionally. I want their journey to be reflected in the mystery plot, which has to do with setting. In Death on the Prairie , Chloe embarks on a road trip to visit all of the homesites dedicated to Laura Ingalls Wilder , her favorite author. If you’ve read Laura’s books you know that the struggle to find a home is a strong recurring theme. I’ve wanted to write about the Laura sites for years, but I needed to wait until Chloe and Roelke were at a point where the issue of finding a home had resonance for them. I also need a site or museum that has enough landscape, if you will, to support a mystery with lots of twists and turns. Old World Wisconsin is spread on 576 acres of land within a state forest—the largest outdoor museum of rural life in the United States. Over sixty structures have been moved and fully restored, including ten working farms and a crossroads village. All that provides plenty of room for Chloe to get into trouble. The other sites Chloe visits are equally rich. The Light Keeper’s Legacy was largely set on an uninhabited island in Lake Michigan. Heritage of Darkness was set at Vesterheim Norwegian-American Museum, housed in a big historic structure with an outdoor division of old buildings too. Tradition of Deceit was partly set in an abandoned industrial flour mill in Minneapolis, which historians were planning to turn into the Mill City Museum. Now that setting provided ample opportunity for excitement! As much as I love one-room log cabins—and the people who have preserved them—I need more real estate to support a book. That doesn’t mean I can’t include such a cabin in a story, but it won’t work as a primary setting. I also avoid historic structures that are, for one reason or another, a source of current conflict within a community. Is a town board divided on whether to keep funding the local museum? Is the debate causing hurt feelings and animosity among neighbors? I might one day fictionalize the kernel of dissent, but I don’t want to wade into a real debate about a real town and historic site. The series starts in 1982 (when my museum career started), and my general plan is to write four books for each calendar year. The 7th Chloe mystery, which I’m writing now, is set in the summer of 1983. After beginning it I got an intriguing invitation that will likely lead to a mystery, but I think that particular book will also work best if it’s set in the summer. That means I have to wait several years before settling in on that. Finally, I have to care about a place to choose it for a setting. I will spend a year or more “living” in that space while I explore its history and write the book. Loving the environment and local stories is a definite plus! And I have to feel confident that readers will enjoy visiting a particular setting as much as I do. I love hearing from readers who visited the setting after reading a particular Chloe Ellefson mystery. Each book has a dedicated page on my website that includes maps and photos and, in some cases, tour guides to make site visits easy and armchair travel vivid. My files of possible future locations are ever-growing. Do you have a favorite museum or historic site? I’d love to hear about it! Death on the Prairie is the 6th Chloe Ellefson Historic Sites mystery. In addition to the Chloe series, Kathleen has written many books for American Girl, including nine about the historical character she created, Caroline Abbott. 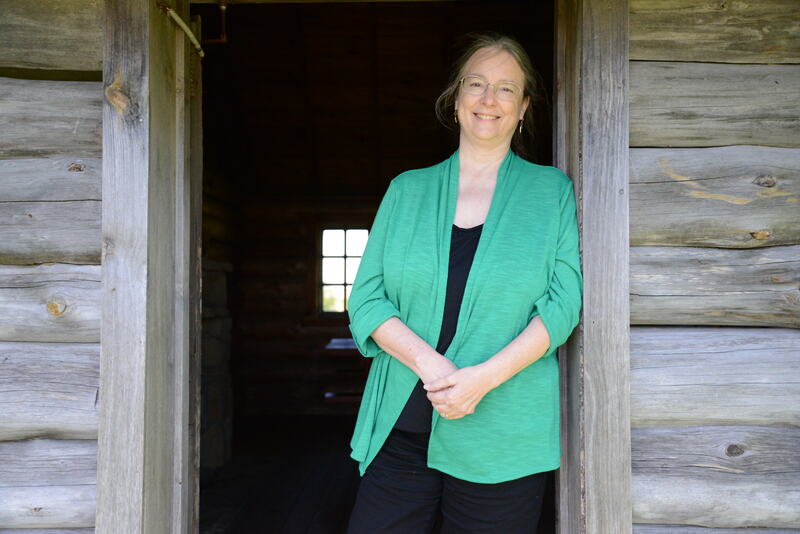 She also writes nonfiction, including A Settler’s Year: Pioneer Life Through The Seasons . Over 1.5 million copies of Kathleen’s titles have been sold. The Chloe series has earned a LOVEY Award for Best Traditional Mystery, and several of her mysteries for young readers have been finalists for Edgar or Agatha awards. If you are a fan of Laura Ingalls Wilder you know there subsets to the fan base. The group that loves both the books and the television show, those that love the books but not the television show, those that loved the show but probably never read the books. Chloe Ellefson and her sister, Kari are in the book loving group. A friend has just given Chloe a quilt that supposedly made by Little House author to authenticate. The timing is perfect because Chloe has been asked to speak during a tour around the Midwest visiting all the places Laura and her family lived. Chloe invites her sister along and they embark on the journey of there dreams. Both are so excited as they reach their first destination but one of the traveler has some sort of attack and dies before the event even gets started. Chloe tries to help and she soon realizes this death was no accident. The tour continues but trouble follows them. Soon Chloe is looking for more than provenance for her quilt. She is on the trail of a killer. I am a fan of both the Laura Ingalls Wilder books and the television show. I loved the Olesons, especially when the Mr. stood up to the Mrs. 🙂 I am also a fan of Chloe Ellefson Mysteries. It started because they are set in Wisconsin but grew because I love Chloe and all the drama she gets involved in. I also like how real her relational with Roelke is, they take one step forward and sometimes two steps back, but you know they truly love and support each other. This time he is dealing with something back in Wisconsin while she is traveling and since the book is set in 1983 there are no cell phones so communication isn’t easy. Kari is also dealing with something and even in the same room she and Chloe are not communicating. What makes this story interesting is that that the group is traveling from state to state, so the crimes of murder and vandalism fall into different police jurisdictions so it is hard for law enforcement to bring all the clues together, but Chloe is putting them together and putting herself in danger. Kathleen Ernst always blends history with fiction in a very entertaining way. The other travelers and those guiding the tours were very detailed and unique. I could picture them easily. The mystery is thoughtfully plotted and I was surprised by the ending. I did not realize that all of these historic sites existed. Now I want to take the tour myself, no dead bodies please. The author is giving 1 copy of this book away!! Do you have a favorite museum or historic site? I’d love to hear about it! Love your books, I love visiting the Museum of Science & Industry in Chicago, thanks for this awesome chance. Linda, I’m glad you’re enjoying the series! I haven’t visited the Museum of Science and Industry in Chicago for years…thanks for reminding me what a great place it is. Deb, isn’t it special to visit a place that was already so vivid in your imagination? Each one in the series can be read on its own, but if you want to start at the beginning, look for Old World Murder. The Laura Ingells Wilder connection sounds fascinating. Thanks for the giveaway. We enjoy the Minnesota History Museum in St Paul. That’s a great one! I’ve done research there for a couple of different books. New author for me will be adding her name to my to be read list. Your books are unique and unforgettable. I enjoy visiting Leadville since it is historic, fascinating and intriguing. Sharon, thanks for the kind comment. I’ve only been to Leadville once, and quite a while ago. I’d love to get west again. Are you familiar with Ann Parker’s historical mysteries set in Leadville? They’re fun. This is a new to me series, sounds good, I like the idea of different places. Growing up we lived near Chicago and a special treat was to go to the Museum of Science & Industry or the Field Museum of Natural History. That’s 2 votes for Chicago museums…I need to spend some time in the city! I love to visit museums but I don’t have a favorite. Rita, thanks for entering. I hope the Chloe Ellefson mysteries might introduce a new museum or two for you! Kathleen Ernst is one of Wisconsin’s hidden gems! You just can’t go wrong with any of her books. You just made my day! Thanks so much for the kind words. I love Coronado Heights in Kansas. Sharon, that’s a totally new one for me–thanks for the tip! I find the Fort Snelling area in St. Paul to be just wonderful historically. And the river being so close is just a big plus. Two Kansas sites I can recommend: the Garden of Eden has an interesting history (Lucas, KS); and Preservation Hall in Lecompton. I obviously need to visit Knsas again. I haven’t been either of those places. Thanks! It was such a pleasure to meet Kathleen at an event at the Mukwonago (WI) Library several months ago. I have the first five Chloe mysteries, all graciously personalized by Kathleen. I’ve read the first three, looking forward to the next two and also adding Death on the Prairie to my collection. Cheryl, you’re kind! I enjoyed visiting Mukwonago very much. Hope you enjoy the next volumes as well! Thanks! I like the cover look as well. The designers managed to create something unique and memorable–hard to do in the crowded mystery world! Congrats to Kathleen on the new release, I am looking forward to Chloe’s next story and the Laura angle too! I just missed her in MN, so hopefully I will be lucky here and win a copy! Thanks so much! Thanks for the comment, Peggy. Isn’t it wonderful to retrace the path Laura trod? Congratulations on the new release! One of my favorite historic sites is the Winchester Mystery House in San Jose, CA. It would make a great setting for a book. Can’t wait to read Death on the Prairie. Just got A Settler’s Year today! Great post, Kathleen. You already know that OWW is my favorite museum, but have you given any thought to using other WI historic sites (e.g., Circus World, Ten Chimneys)? Or, after your recent trip, Maihaugen or Skansen? Sandra – yes, we do share a special favorite! I do expect to visit more SHSW sites as the series progresses. I’m ashamed to say I have yet to visit Ten Chimneys, but I want to! And I would certainly love to get Chloe to Norway one day! Carl – wow, what an opportunity! If I ever get to Athens I will be sure to visit the National Museum. Thanks for the comment. I am looking forward to discovering your books, they sound excellent. I appreciate your commitment to accurately potty sing the locales– so interesting.?? Thanks, MaryAnn! I hope you enjoy. I haven’t heard of your books before. I am excited to find these! I can’t wait to get started!! It sounds intriguing, can’t wait to read it!! Thia looks to an interesting series which is new to me, but I would love to rad it. I do like The Little House. I even saw the musical where Melissa Gilbert portrayed Ma. I also visited Laura’s house in Missouri and the museum after we read one of the books for my Adolescent Literature class. I really think your books would be great for my book club; I can’t wait to suggest them to the others in the group. This is not like the museums you’re writing about, but I remember going to the Hershey Musuem and loving it. All of the chocolate…yum! And they had a bunch of Smurfs figurines. Thanks for having the giveaway. So, it’s a grim prairie tale. I have been to Old World Wisconsin, but I actually enjoyed Plimoth Plantation in Massachusettes, much more so. Unbeknownst to me at the time of my visit, unfortunately, my first ancestor in the current US, Anthony Colby, arrived in what is now know as Plymouth Massachusettes in 1630. Following this lineage, I am also related to Laura Ingalls Wilder as well, how exactly I do not know, I have to do futher checking on the geneology website.